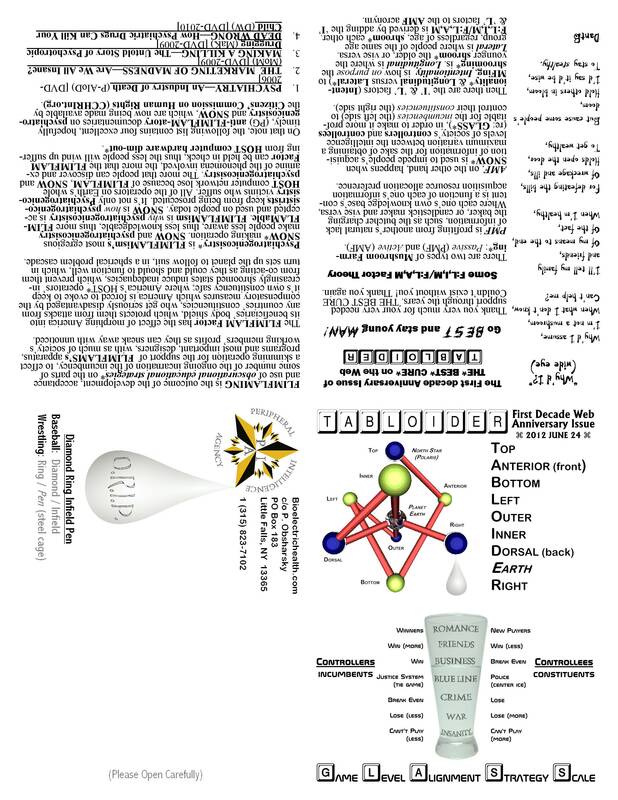 Above is the cover page of the single, two sided, letter size, paper publication—2012 JUNE 24 TABLOIDER—which is the complementary hardcopy companion of www.THEBESTCUREWebsite.com, which as of that date has been on the Web one full decade at the URL: www.bioelectrichealth.com. Thus, this Web page is the Web version of the material world version of, "The First Decade on the Web Anniversary Issue of, THE BEST CURE Website's, TABLOIDER." The rest of this TABLOIDER (glossary included) appears below. 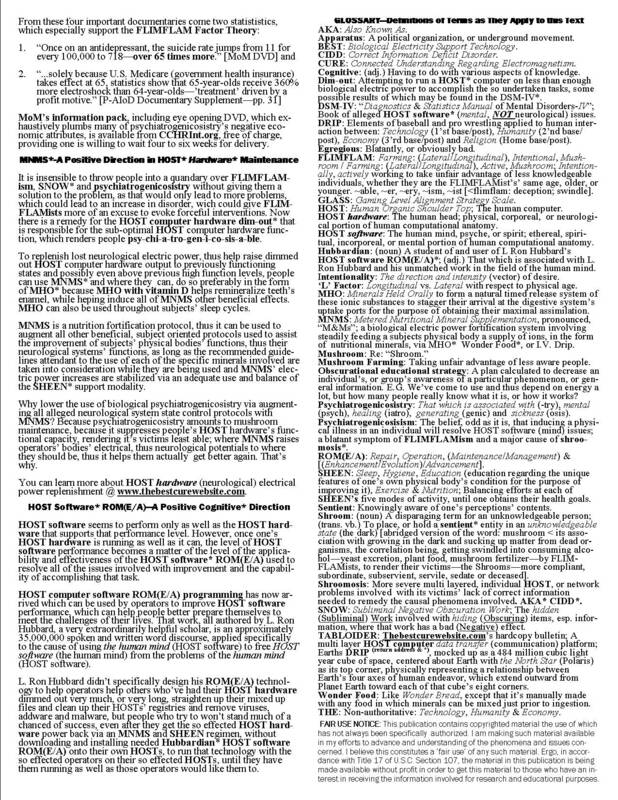 The hardcopy TABLOIDER has been specifically designed to fit on one letter size page of stationary, to include with its assimilation the thought, "Let's get on the same page (be in possession of the same information, thus share common ground)," the reasoning being that if there is but one page to put one's attention on, it's impossible to use one's attention without obtaining some agreement with other's that access that information. Religious Literature Regarding Heaven & Hell Below the Blue Line, in the GLASS, could be considered to be more hellish game levels and above it could be viewed as more heavenly game levels. The Playing Infield The Diamond/Infield as representing aspects of the DRIP, the action product of the TABLOIDER (a production machine), where the four bases represent Technology, Humanity, Economy and Religion (Humanity's four primary endeavors). Professional Wrestling Steel Cage The Ring and Pen representing aspects of the DRIP in a three dimensional array, where the four primary endeavors of humanity are represented as four (4) axes of action that run from extremely opposing corners of the cage (E.G. one top, across the cage's center, to the directly opposing bottom corner), all axes running through the steel cage's (cube's) central, center point, with the cage tipped up on one corner so it's retribution/salvation, demonic/divine (Religion) axis is vertically oriented. Hockey The Game Rink The idea that the "Blue Line" equally divides the game rink between complementary offence and defense areas. Economy & Religion The idea that those are the four basic divisions of human endeavor, thus the four main categories of collegiate subject matter. Confusion?" Using these concepts as the upper and lower limits of the GLASS. The Book: "Dianetics—The Modern Science of Mental Health (DMSMH)"
DMSMH: The concept of, "Gradation,"
ItSE: The idea that human matters work different ways in different situations, "Ethics Conditions," up and down a gradated (articulated) scale, which extends from a condition of "Power" at that scale's top to a condition of "Confusion" at its bottom. Aldus Huxley The Book: "Brave New World" What life might be like in an affluent, allegedly utopian, technologically advanced [anteriorally (frontwardly)oriented], futuristic (from 1939) world, represented on the cover graphic mostly by the upper half of the GLASS, down to the Blue Line. Huxley's distinction between producers and consumers, represented on the cover by the TABLOIDER (production; a still), product (the DRIP) and the GLASS (consumption). The Book: "1984" What life might be like in an impoverished, allegedly dystopian, technologically advanced [anteriorally (frontwardly)oriented], futuristic (from 1949) world, represented on the cover graphic mostly by the lower half of the GLASS up to the Blue Line. "A Beautiful Mind" "The Zero Sum Principle," it states that, For an economic game to balance (equate), where someone wins, someone must lose. The zero sum principle establishes the Blue Line in the GLASS graphic. This TABLOIDER cover demonstrates relationships that rationalize, Aldus Huxley's "Brave New World" model (mockup; paradigm) of a society which intentionally develops a consumptive component. The theme Huxley intended there was to be a mockery, a parody of a possible future for human civilization in which an affluent society enjoys profligate consumption and wonton disregard for moral constraint. In the GLASS, this is joined with Orwell's view of a future world of ominous proportions, evolved as a consequence of that society's inability to get its proverbial act together. It is here neither advocated that people are supposed to be born, live and die in horrible conditions, nor to live in unending pleasurable luxury, but rather that it is somewhat up to them, their selves, to do what's needed to improve, maintain, or do as well as they can to hold their games at the highest level, in the GLASS they can, no matter what levels those games may be determined to be primarily. The TABLOIDER diagram on the upper portion of the cover, as opposed to the GLASS (lower portion), represents production in the form of a distilling, or a refining type activity, or mechanism. The drip from the Right (Individual Human) corner of the TABLOIDER represents the product of people's efforts. The GLASS represents the relationship of a group's quantity of stored available products to that group's people's needs. The rationalization so represented is that the level of the GLASS is a function of how well the players, as workers can supply themselves with the DRIP (the product), which is represented as how full, or not the GLASS is. You could look at the cover as the TABLOIDER diagram representing work (how product is generated, or made by an individual, or a society of people) and the GLASS diagram representing play--how, the means by which, that society's products are divided among the individuals of that society and are used (consumed) by them. Perspective: If you looked at the TABLOIDER diagram as some kind of distilling machine and the GLASS in scale with that, the Milky Way Galaxy would be the size of a regular sized room, one perhaps the size that you are in right now. Space, an interesting place, devoid of attention is nothing, it's un-self... However, when nothing is paid that primary of all human elements, attention, space is the product, but I digress from the matter being presented in this TABLOIDER. Directly below is how all eight pages of a two fold card type folded TABLOIDER, whose two full pages are printed back to back on letter sized paper, except that one or the other pages should be printed up side down from this configuration for the bulletin to read correctly from page to page. 2012-2013®Philip B. Obsharsky. All rights somewhat controlled. This material may be copied, or transmitted as long as any source information that is included with it, it meaning any part of the composition of this material that is transmitted or copied for any reason, is retained with with it and this copyright statement is retained as a part of it and no financial compensation is sought or derived for such action.